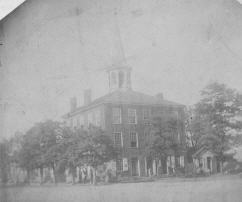 Here is a current picture of the courthouse, with a section of the jail at the right. 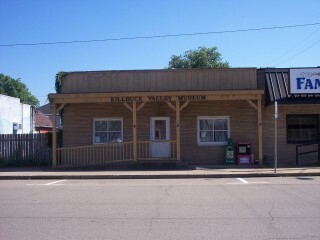 This building was the third one built in the county. Although the former building was condemned by the grand jury and was unfit for use, the construction of a new building was voted down several times over a span of 15 years. A bill was finally passed and the commissioners began looking for a contractor. Hibbert& Schaus of Newark, Ohio won the bid, with the lowest bid of $69,493. Ground was broken for the project by Jacob Conrad at 7:00 AM on July 23, 1884. JoshuaStuber laid the first stone and Meldram Dowie laid the last on October 24, 1885. There was a snag in the spring of 1885 when they found that the $75,000 appropriated for the project was not enough to complete the building. So, another bill was passed that required the commissioners to borrow $30,000 more to complete the project. Things haven’t changes that much in building projects!